In Need of AC Installation or Replacement? We've got you covered! 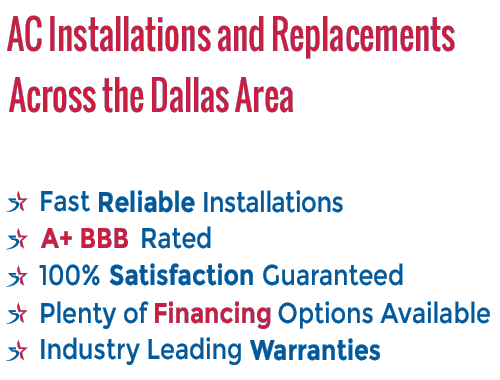 It is exciting to have a new air conditioning unit installed in your Texas home. If you are adding AC for the first time, you are certainly excited about the fact that you will be able to make it through our sweltering summers in comfort. Or, if you are simply having an old system replaced, you can look forward to better performance and improved efficiency, as well. 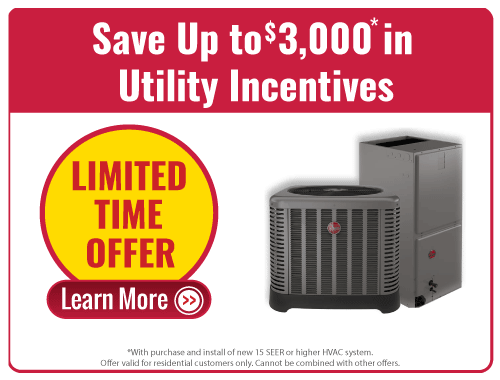 To work with an air conditioning installation company that is dedicated to quality above all else, contact 5 Star HVAC Contractors right away. This might go without saying, but you can’t start to enjoy your new air conditioning unit until it is actually installed. Fortunately, 5 Star does not waste time in getting down to business. That is not to say that we rush through the work – not at all. Our focus is on the quality of the work and the satisfaction of our customers. Thanks to our many years in business, we have learned that customers are satisfied when they receive a combination of quality and efficiency. We will get the job done right, but we will also get it done quickly so you can start enjoying the benefits of your investment. Of course, our schedule can fill up rather quickly – especially during the hot summer months when there are both installation and repair jobs to be handled. With that in mind, please call us as soon as you decide to have an air conditioning installation completed at your home. We will be glad to sort out all of the details of your project with you, and we’ll also get you down on the schedule to ensure the work is completed as soon as possible. Our goal is always to repair a malfunctioning air conditioning unit, rather than having to replace the whole thing. Obviously, performing a repair rather than a replacement is going to save the customer money in nearly every case. With that said, it is not always possible to repair a unit, so replacement is something that will be necessary in certain situations. The nice thing about working on an air conditioning replacement project is the fact that some of the work is already done. This cuts down on the time it will take to perform the work, and it cuts down on the overall cost for you. The electrical needs should already be met, and the new air conditioning unit should have a place to land. Our team will come in, assess the current situation at your home, and outline what will be necessary to replace your old system with a new one. As an HVAC installation company, our primary focus is on the quality of the work we do on your property. However, we are also strongly motivated to provide both excellent rates and a high level of customer service. On the pricing side of things, we make sure all of our customers are very clear as to what our services will cost before we ever get started. Also, we maintain very reasonable rates to ensure we can serve as many people as possible around the Rowlett area. To go along with our impressive rates, the customer service we provide should be second to none. We take great pride in the service we provide each of our customers, and we feel this is where we can stand out from the competition. We will communicate with you clearly throughout the process, we will notify you immediately if anything changes along the way, and we’ll always be available to talk if you have questions or concerns. If you have worked with other AC service companies who fell short in this area, contact 5 Star right away – you won’t be disappointed.